According to current statistics from the Centers for Disease Control (CDC), more than 1.4 million Americans suffer a traumatic brain injury (TBI) each year. The majority of these injures are closed head, or “mild” traumatic brain injuries, and mainly are caused by falls, motor vehicle accidents and sport accidents. Closed head brain injuries can be difficult for medical professionals to diagnose and treat and present special evidentiary issues for attorneys. However, with the help of a skilled trial attorney experienced in handling these types of cases, TBI victims can receive the medical treatment they need and recover the compensation they deserve for their injuries. Many people who sustain closed head traumatic brain injuries are not initially properly diagnosed. This happens for a number of reasons. First, the initial medical care received in the emergency room is often directed at any observable physical injuries the person may have following a traumatic accident. ER doctors may not consider testing for brain injuries in patients who do not have an open head wound or other obvious trauma to the head. Second, closed TBIs generally are not apparent to the casual observer (or even medical professional) and require additional testing to diagnose. The symptoms of a TBI can be general enough that physicians mistake them for other conditions, like depression or anxiety attributed to the trauma of the accident. Some of these symptoms include agitation, mood swings, insomnia, short-term memory loss and difficulty concentrating. Lastly, even in cases when doctors order further diagnostic testing, including MRIs and CAT Scans, they still may miss the diagnosis. Depending on the severity of the injury and the area of the brain affected, the TBI still may not be detected by the most common types of diagnostic tests. The lawyer’s role in helping TBI victims extends much further than simply helping them recover compensation for their injuries. The attorney also can help the victim receive a correct diagnosis and the treatment they need for their injury. A personal injury lawyer experienced in working with brain injured clients often will be able to recognize that the problems plaguing the client are the result of a TBI and not some other medical condition. The attorney then can direct the client to the appropriate medical professionals to obtain a proper diagnosis and begin a treatment regime. Generally, this will include the help of a neurologist or physiatrist (i.e., rehabilitation physician) who has experience in working with TBI victims. The attorney, however, will not turn complete control of the TBI victim’s care over to the doctors. Instead, the lawyer will stay on top of the victim’s medical treatment for the purposes of providing input regarding care alternatives and, even more importantly, making sure that the right evidence is developed for the client’s underlying legal claim. 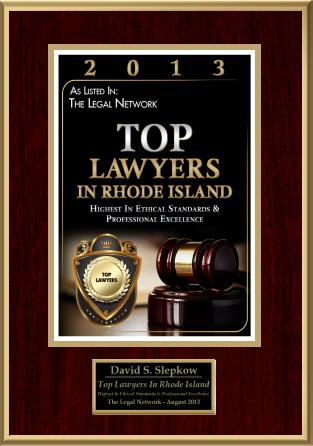 In this way, the attorney works as the point person in directing the patient’s care and legal representation. TBI legal claims require the extensive use of expert testimony to prove the extent of the injury and the injury’s relationship to the accident, or “causation.” This requires the attorney to work closely with the victim’s team of health care providers and other professionals to build a legal case for recovery. In addition, the attorney will assemble various diagnostic tests for use as evidence of the brain injury at trial. These tests may include MRIs, PET Scans, Electroencephalograms, Electonystagmograms and others. Traumatic brain injury cases present unique challenges for the individuals suffering from the injury and those trying to help the victims. By working with a trial attorney experienced in handling these cases, victims with even mild brain injuries can get the medical attention they need and deserve. 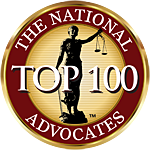 For more information on traumatic brain injury litigation, contact an experienced attorney today. Over its 35-year history, attorneys at BIREN|KATZMAN have successfully handled hundreds of cases, having collected more than $200 million for our clients. 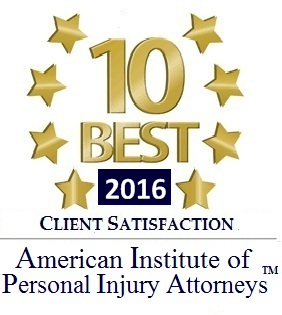 That’s how the personal injury attorneys at the West Los Angeles, California law firm of Biren Katzman define quality. That’s what we strive to achieve every day for every client we serve. We represent clients suffering from a wide-range of catastrophic injuries, including brain injuries, spinal cord injuries, burns, and paralysis. To schedule a free consultation with a Los Angeles personal injury lawyer at Biren Katzman call toll-free at 866-604-5887. It is obvious that you put a lot of work into this auto accident Blog. I will bookmark this site!